So we’ve got just over two weeks left of the school holidays to enjoy but have the holidays made a dent in your family finances yet? 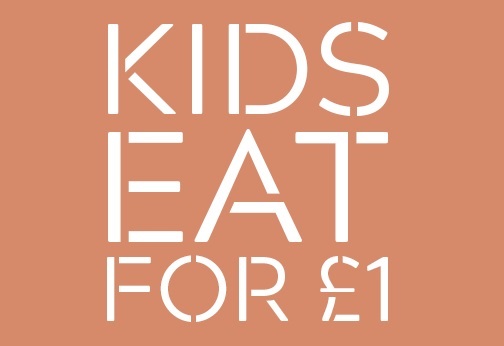 Did you know there are so many places across the region where kids can eat free or for £1 offers? There is no doubt that dining out as a family can come as a welcome relief to being asked: “What’s for dinner?” And eating out can be a great way for a family to keep the kids entertained. But it can make the summer holidays a costly time too. 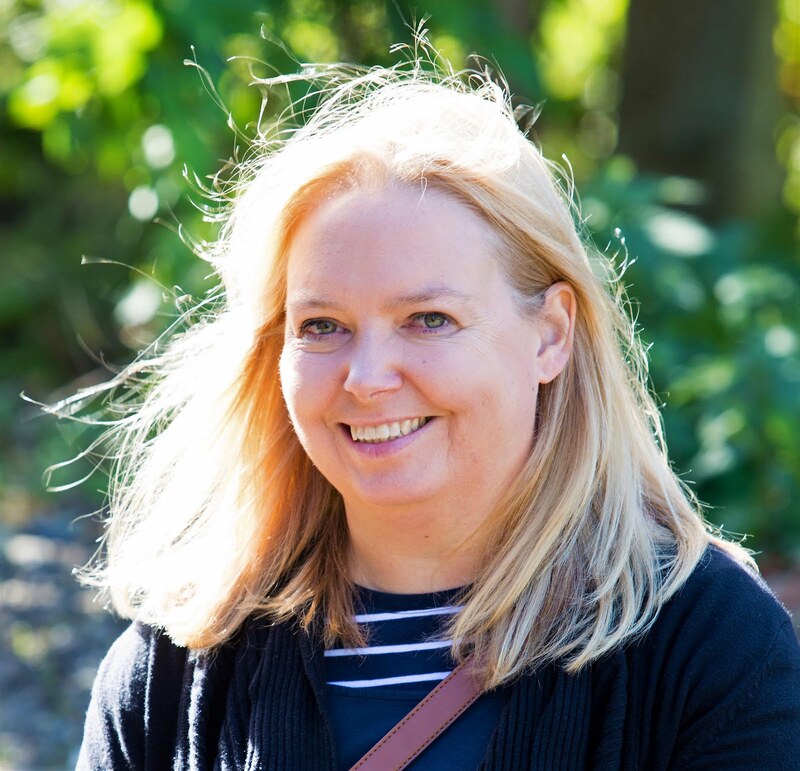 Picnics are a great idea and fun too, but with so many Kids Eat Free or Kids Eat for £1 offers available across the region summer lunches or dinners, without any need for preparation, don’t need to be costly either. 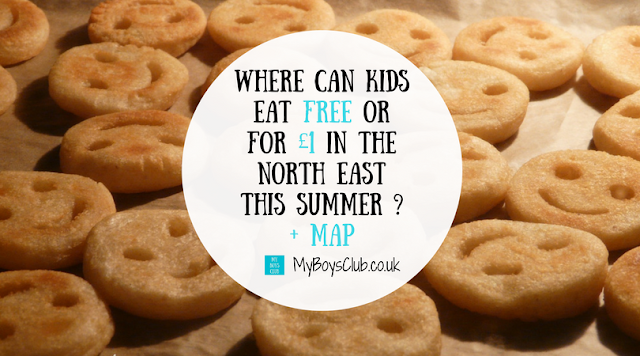 There are many restaurants where your children can eat for £1 or even for free, in Newcastle and Gateshead - why not visit one of these great places while you are there - but also North Tyneside, Sunderland, South Tyneside, Teesside, Durham and Northumberland (see our handy map below), right next to places where you can also have a free family day out in the north east too ... such as at our region's great beaches, in museums such as the Great North Museum, Discovery Museum, Sunderland Museum and Wintergarden, and The Zetland and many other places from Berwick down to Redcar. Free food and free days out - now that does make for a frugal summer! 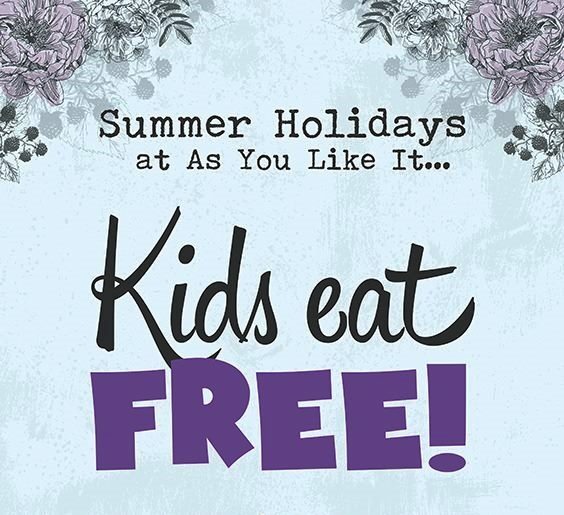 Kids can eat free at As You Like It in Jesmond, Newcastle Monday to Thursday From 12pm–3pm all Summer - until Thursday 31st August. The offer is only valid when accompanied by a full price paying adult and pre-booking is required. At five locations across the region, you can receive one free kid's Piccolo or Grande meal with the purchase of an adult main meal up to a maximum of 3 free kids meals per table. This is valid all day every day except Saturdays until 12th September 2017. Special created kids dishes include the Piccolo Burger, the Pizza Dog and Easy Peasy Macaroni Cheesey, or you can always choose a half sized portion of our adult pasta classics like spaghetti bolognese or Margherita pizza. Kids meals also include a starter, dessert and unlimited squash. You will need to download a code from the website in advance. Fratello’s restaurant is well-known for serving up the best of authentic Italian cuisine and now the whole family can enjoy it at a fraction of the price with its Kids Eat Free offer this summer. 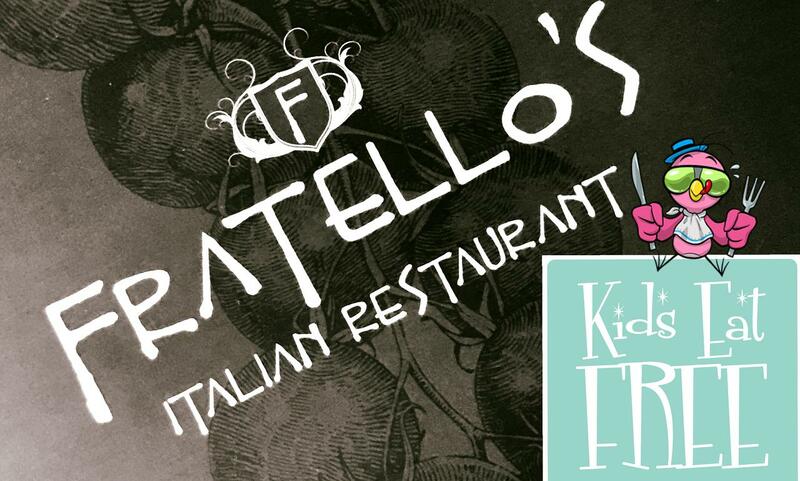 You can treat the family to a delicious meal out and keep the kids occupied at all three Fratello's venues in the North East - Jesmond, Newcastle Airport and Scotch Corner. For every main meal purchased, kids can make their own pizza creation for free! At some outlets, a bigger kids menu is available too., Children must be under the age of 13 and must be accompanied by an adult eating a main meal. Do make sure you inform your server on arrival though. Available all day Monday to Sunday until 3 September you will receive one free kid's meal deal, which includes a main, selected drink and dessert per full price adult main purchased. Again there is only one in the region in Eldon Square, Newcastle. Until 31 August, your little ones can eat for free at Jamie's Italian. For every main course you order, one of your children can enjoy a meal, on Jamie. Offer includes a choice of main meal, shake-me salad, drink and dessert from the kids' menu. You do need to show a code to your server when you visit which you can get from the website. There is just one in the region though in Monument Mall overlooking Greys Monument in Newcastle. 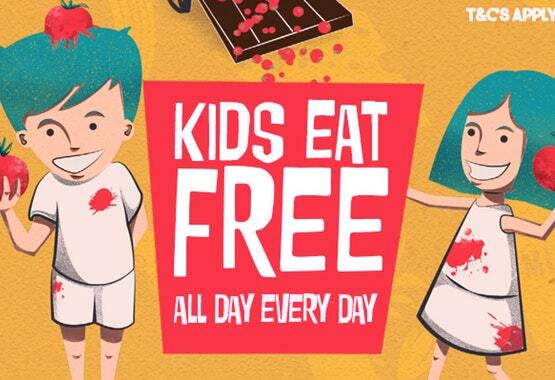 Running all day, every single day in every restaurant Kids can eat free at La Tasca. They can choose from seven delicious mains including crispy chicken pieces or creamy macaroni cheese, all served with a salad and a choice of fries, peas or rice. As for the sweet treat, the choices include a warm, gooey chocolate brownie with creamy vanilla ice cream, or churros; cinnamon-sugar dusted doughnut twists with a chocolate dip. Although there used to be many now there is only one location in the North East in Durham City Centre. At both Newcastle venues, Grey Street and Quayside, kids can eat free during the school holidays when they take an adult with them. Each grown up ordering a main meal from the a la carte menu can claim a free kids meal which includes a main, dessert & drink from the Niños menu. Offer runs until Sunday 3rd September 2017. There's also free baby food - just ask your server when you order your grown up meal. 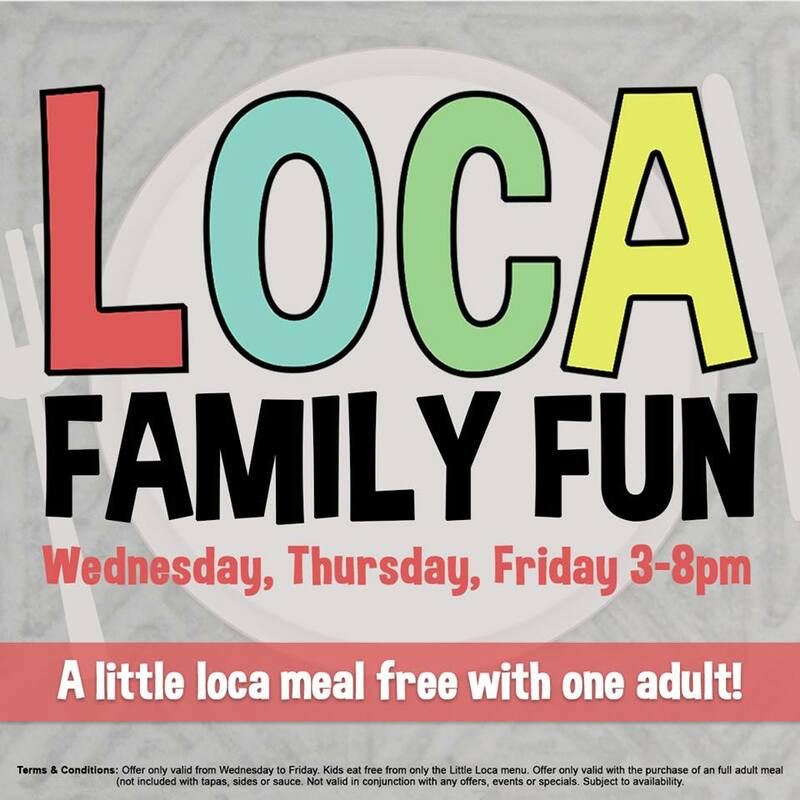 At Loca in Whitley Bay, a new Latin American restaurant, kids meals are usually £5 but from Wednesday to Friday, between 3pm and 8pm kids eat free. So you get a little Loca meal free with every adult meal purchased. You'll find Missoula (formerly Slug and Lettuce) situated in the heart of Durham, in Walkergate with two large outside terraces, making it an ideal place to stop for lunch this summer in a laid back atmosphere. Kids eat free every day - all week. One free kid's meal per adult meal purchased. Under 18's are welcome until 8 pm during the week and 6 pm on a weekend when accompanied by an adult. Treat the Little Crusaders this Summer Holiday with a tasty meal on Red. If you buy a main meal, and spend over £10 on food and drink they’ll bless your kid with 3 courses plus a side and drink for free. It is valid until Friday 8th September 2017 but you'll need to download a QR code from their website to use in their only venue in the region. At one of the best locations, overlooking Newcastle Gateshead Quayside, at River Beat you can treat your kids this August, as kids eat free every day until 6 pm during August. Booking is essential to claim your kid's meal though. This summer you will receive one free kid's meal with any adult meal over £4 or breakfast meal over £3.50. Applies to children under 16 at 30 different Morrisons Cafes across the region. At Asda this summer, kids eat free on weekdays after 3.30pm when you buy any adult meal worth £4. There are 17 Asda Cafes across our region. Sign up to the Kids Club Deals at Metrocentre and Eldon Square and kids can eat for free at Pizza Express, Rossopomodoro, Batburrito, Giraffe and Bella Italia. 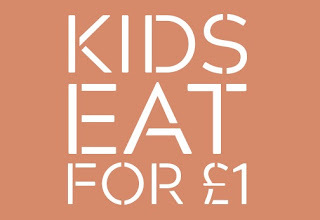 With a restaurant in Newcastle and at the Metrocentre, kids meals cost just £1 when purchased with an adult main meal between 12-5pm, Monday to Saturday. Valid until Thursday 31 August it is suitable for children aged 10 and under. You will need to print this voucher or show on your phone from the website and show it to a member of staff when placing your order. There are 13 Frankie & Benny's restaurant across the region where you can download a voucher so kids eat free all day. It is valid every day until Tuesday 5 September. Kids can eat for £1 this summer at the three Harvester restaurants across the region, until 3 September when accompanied by a grown-up purchasing an adult main meal. The kids' meals are suitable for children under 10. You can download a single use code from the Prezzo website to let your little ones feat for just £1 until Thursday 31st August 2017. Valid all day, every day this offer is valid for both the Kids and Tot's menu - 3 courses and a drink - at four restaurants across the region. During the summer kids can eat for just £1 each at Toby Carvery. Upon presentation of a voucher, guests will be able to purchase children's main meals for £1. This will allow up to 2 children per party to have a main meal for £1 per full paying adult. This does not include drinks and cannot be used at Breakfast. Valid to redeem Monday- Saturday only excluding Bank Holidays until 9th September 2017. You will need to sign up to their mailing list via the website to claim the offer at their restaurants across the region. Do you know of any other kids meals deals this summer? Leave the details in comments and I'll add to the list. Offers can change so please do check which each venue before visiting. Oh wow, what a brilliant list, we'll definitely be referring to this when we eat out this summer! It's nice to see places offering more than the usual kids menus! We're not in the north east but since some of these are chains it'd be worth checking out branches up here! This is a great resource! Will share. Oh wow that's great. Even £1 is an absolute bargain! I always feel it's a waste buying my little one her own meal as most of it ends up on the floor, but for that price I'd definitely give her her own. So helpful! I've received so many emails this month saying kids eat free - how fantastic. I love that you have included a map! It makes it so much easier. :) Great post. I'm going to have to look up and see if any of these offers are valid down here in the south. I'm hoping to take the kids out for an end of the holidays meal and our finances are a bit of a concern :( Thanks for pointing me in the right direction!